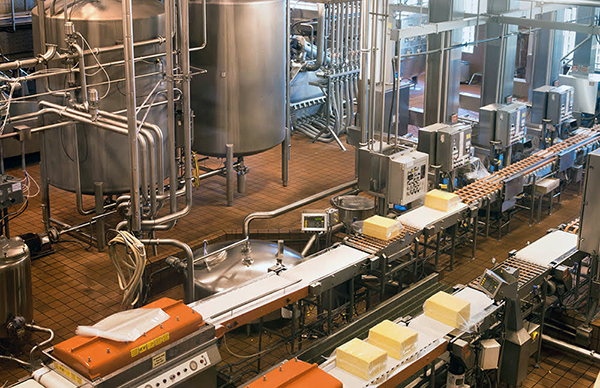 Why Should Food Manufacturers Consider Lab Automation? Food manufacturers that think strategically understand that labor efficiency is a measure of how effectively a workforce completes a task in comparison to industry. Companies frequently access efficiency and other metrics to identify weak points in their operations, with the end goal of enhancing data quality and streamlining costs. This approach has led many food and beverage manufacturers to embrace lean manufacturing and six sigma programs in their organizations. These leaders have a clear understanding that labor is money (or money is stored labor), and money equals margins. Food and beverage manufacturers often acquire several raw materials and convert them into finished products for consumers to purchase. These manufacturers have found that robotics and automation have greatly increased productivity and enhanced product quality while maximizing resources and profitability. Analytical testing laboratories within food manufacturing firms leverage LIMS to realize automation savings. LIMS is an acronym for Laboratory Information Management System, which can also be a manual paper/Excel based solution, however, this article will focus on completely automated, computerized, enterprise, software solutions. Manual systems are cumbersome, costly, and lack efficiency. Just as automation and robotics have transformed the food manufacturing process, intelligent laboratory operations leverage LIMS, because it enables increased quality and faster turnaround, while providing significant cost savings. LIMS are computerized systems that organize, manage and communicate all of the laboratory test data and related information such as Standard Operating Procedures (SOPs) and Certificates of Analysis (COAs), final analysis reports, invoices, nutritional labels, formulations and information to support an organization’s operations and meet regulatory compliance goals. Traditional LIMS facilitate overall laboratory organization, from sample management to test data to final reporting and disposal. LIMS begin with sample management and typically the generation of barcoded labels (of a unique identification number), testing is automatically assigned based on project or sample type (Note: Additional tests can be added or deleted, and ad hoc samples can also be logged). Some laboratories test all raw materials that arrive to confirm acceptance criteria against the COA, in addition to in-process, final product testing and environmental testing. Once samples are logged into the system, worklists are created in the LIMS of the samples to be run and the information is scanned via barcode and sent to the instrument controller. Tests that include associated quality control data are run by loading instruments. Results are electronically imported back into the LIMS from instrumentation (this is the most common and most efficient method). For manual, subjective tests that require interpretation, results must be entered into the LIMS by hand. Managers can also manage and track samples that have been subcontracted to other laboratories (i.e., for testing capabilities that do not exist internally). Once the subcontracted data is submitted back to the laboratory in an electronic format, it can be directly imported into the LIMS, and all data related to the sample is stored in a single, secure database. This approach offers a major advantage, especially to global operations, due to the ability to deliver real-time data across an enterprise. End-users can leverage the technology to make intelligent buying decisions based on product specifications of incoming raw materials, customer demand, specification criteria and blending simulations. Managers can view a variety of metrics, including the number of samples that have been run for a particular product, statistical process control charts, instruments in service for workload management, and supplier performance in any given period. Complete product traceability is possible. A LIMS not only enhances communication across a laboratory, but also across a global organization with multiple sites, ensuring effective cooperation and relationships between suppliers, production and customers. A LIMS promotes standardization in global firms and gives management teams real-time data access from site to site, so that data is readily available for better management and resource allocation decisions. Standardization makes business and financial sense, as organizations can realize cost savings in buying testing equipment and supplies in larger quantities, exchanging staff to different sites (potentially reducing training costs), and managing a user-friendly, single secure database that supports localization (each site can implement LIMS in its native language). Standardization does not mean that systems must be ridged; each facility can leverage its own unique workflows and terminology while saving data to a standard database format. Today, LIMS’ have expanded to manage all aspects of laboratory operations and have significant overlap with ERP, SAP systems and other enterprise solutions. The goal is to move away from multiple separate databases and distinct islands to one centralized data management solution. Amazingly, some laboratories do not make the investment in new LIMS technology and continue use in-house created database systems, manual paper systems and Excel spreadsheets (or a combination of these systems) to manage portions of the critical product testing data. These systems are often costly, labor intensive, subject to data loss, and difficult to manage and maintain. A LIMS ensures that analytical resources have been best utilized to maximize productivity and efficiency to generate high-quality data to support operations, while facilitating regulatory compliance goals. Organizations that embrace quality often leverage technology such as LIMS, and typically hold ISO 17025 certification and embrace six sigma, lean manufacturing and other best practices. Robotics has transformed food manufacturing to allow greater volumes of final product to be produced, with an emphasis on speed, standardization, consistent product quality and volume, with increased efficiency and cost savings. LIMS’ have transformed the manufacturing process and the laboratory analysis process from raw material testing to in-process /environmental testing and finished product testing. For example, on-line monitors can feed data into an LIMS (i.e. flow, temperature from freezers or incubators), and if there are any alarming data points, instant notification is provided to the team via email or a phone call. This rapid response saves time for a corrective action to be put into place. Within the laboratory, if a shelf life study is underway and the incubator fails, an alert can be sent after one out-of-range temperature measurement, allowing the problem to be corrected and the study saved, versus having to start over. The analytical testing group in any food and beverage testing facility generates hundreds, thousands, even millions of data points a year. They gather data on raw materials (based on COAs), in-process manufacturing (quality checks, statistical process control and specification confirmation), environmental monitoring, and finished product testing as well as performing competitive analysis. These are some of the main areas that are impacted by sample collection and testing. LIMS and laboratory automation have transformed the way that data is collected, monitored and analyzed. Today’s LIMS’ are based on modern technology, providing a valuable tool to ensure that product is within specification, and collected and disseminated in real-time to improve efficiency, reduce costs, increase profitability.